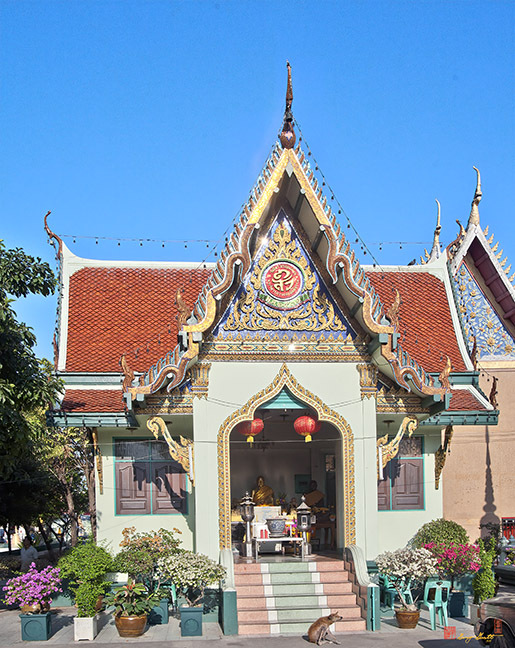 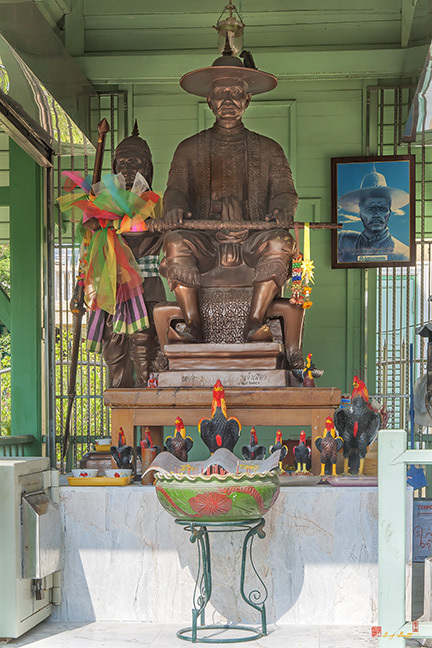 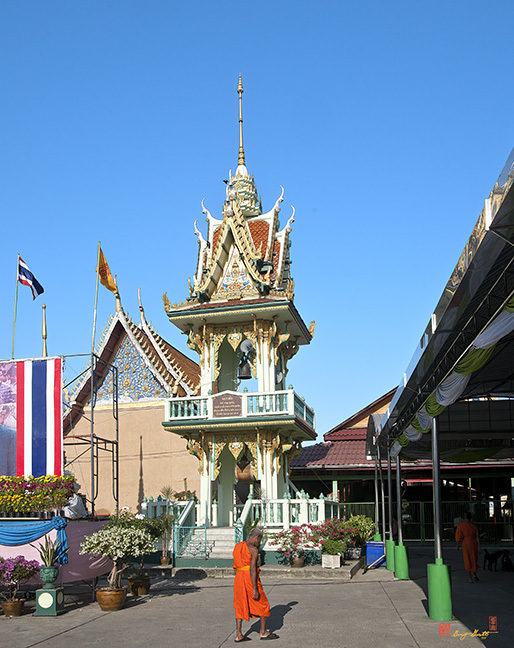 Wat Tsai, วัดไทร, is located in Khwaeng Bang Khun Thian, Chom Thong District, Bangkok. 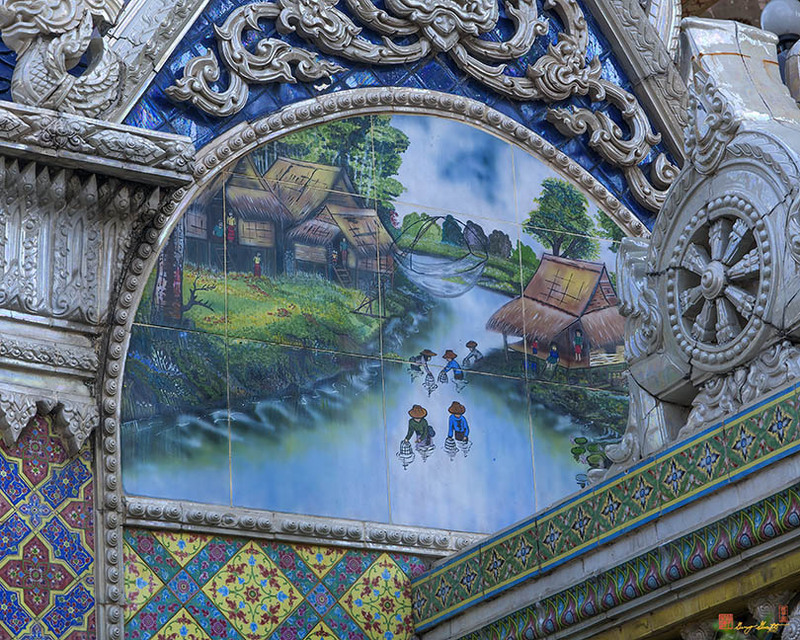 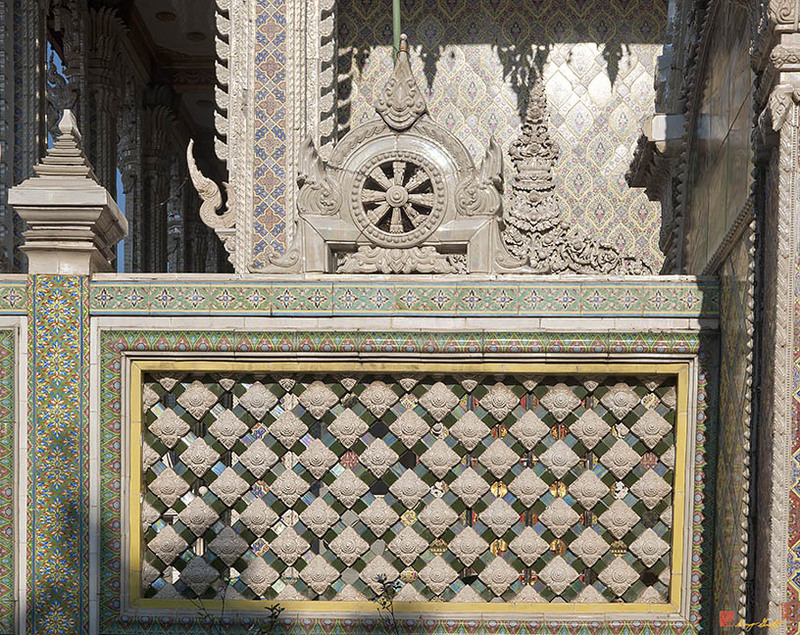 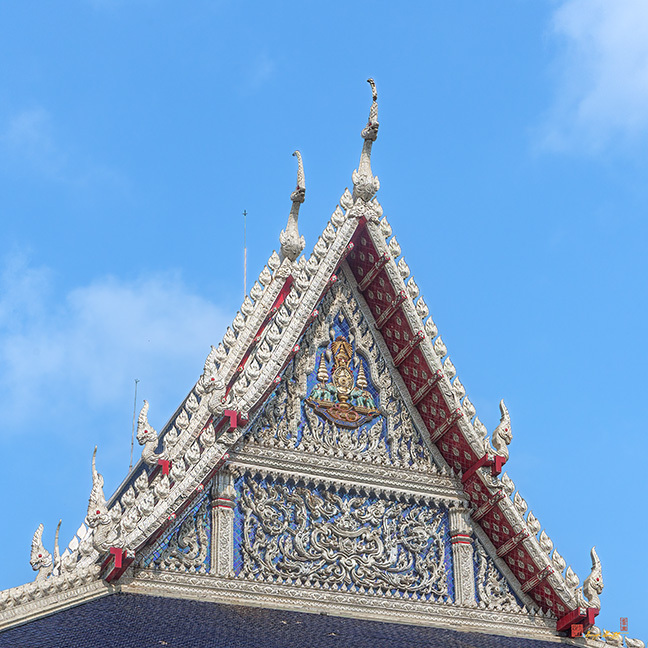 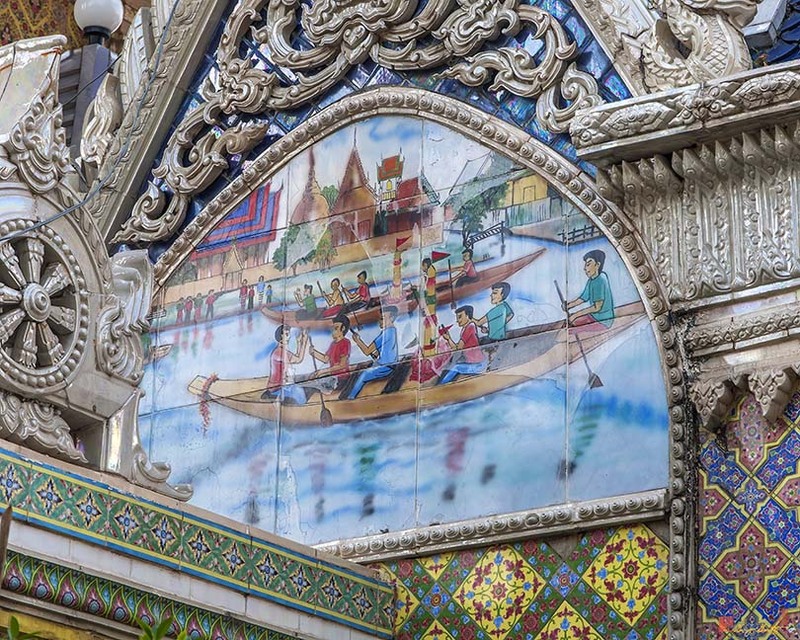 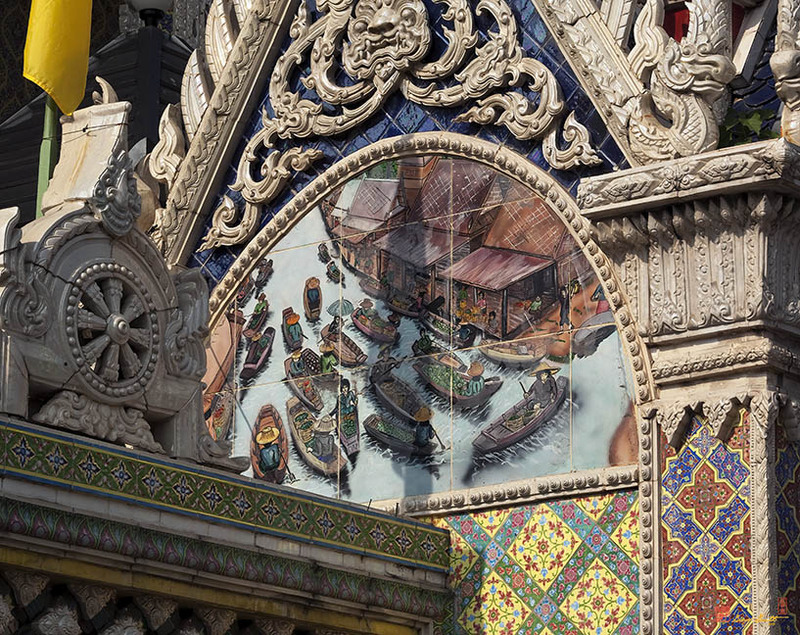 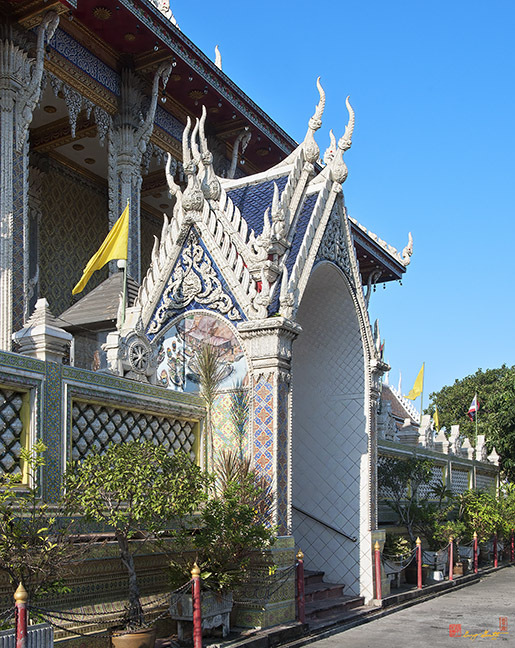 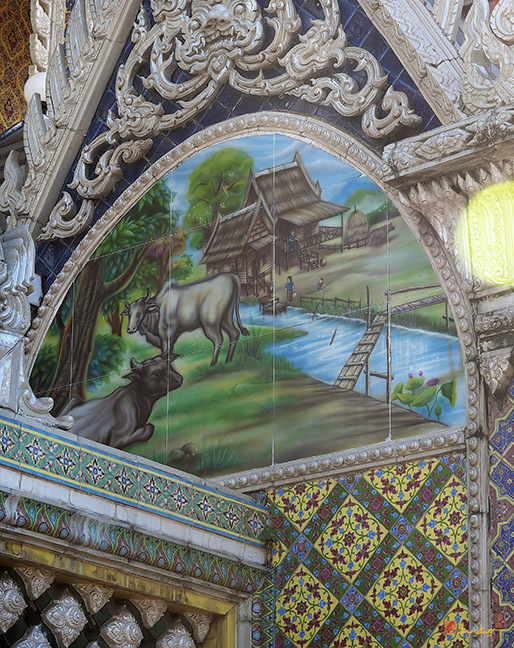 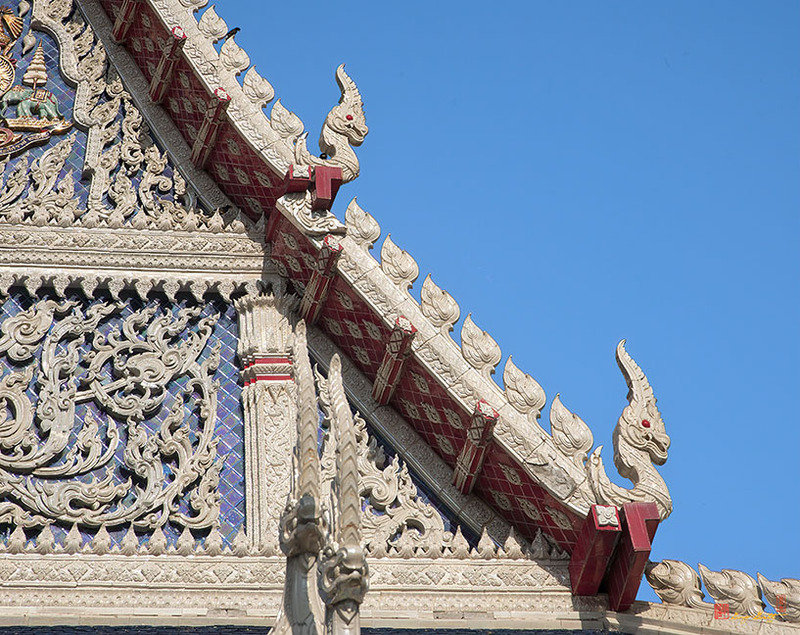 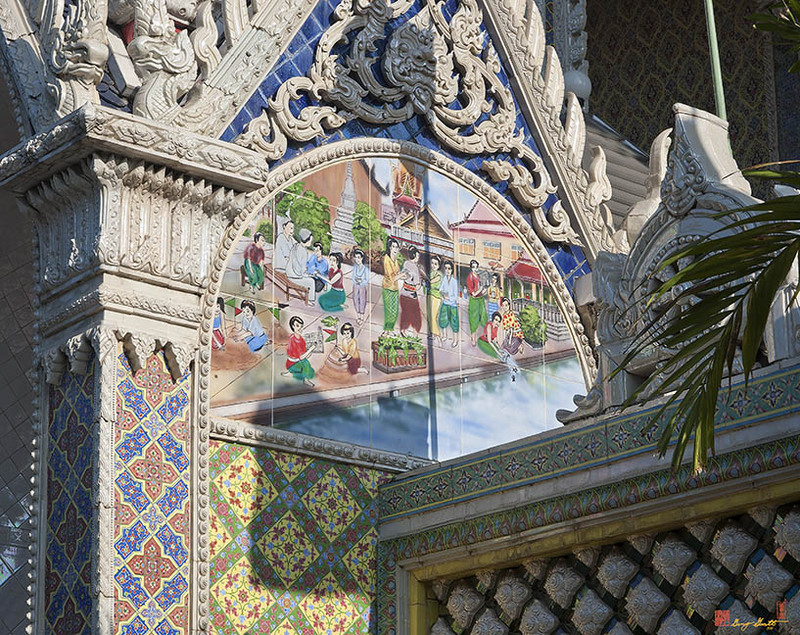 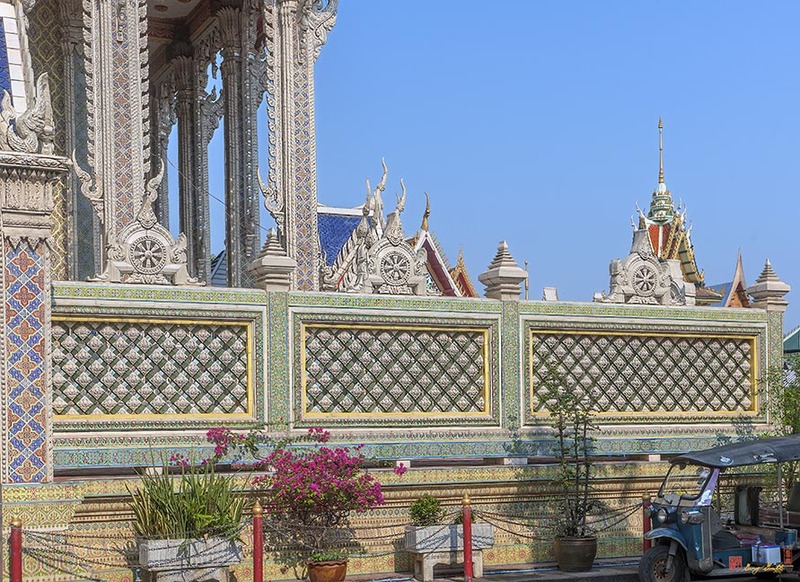 The Phra Ubosot is notable in that it is almost entirely clad in ceramic tile and is surrounded by a wall that is also clad in ceramics. 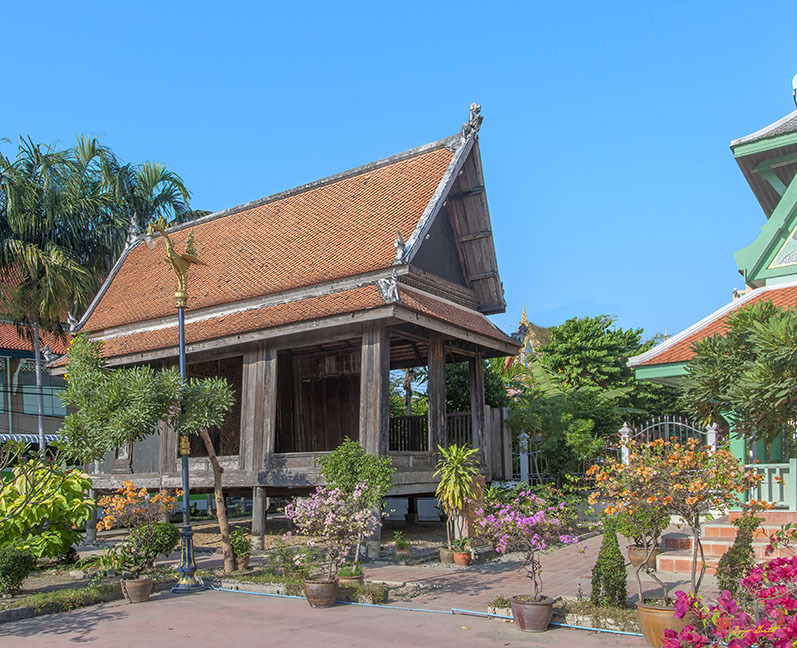 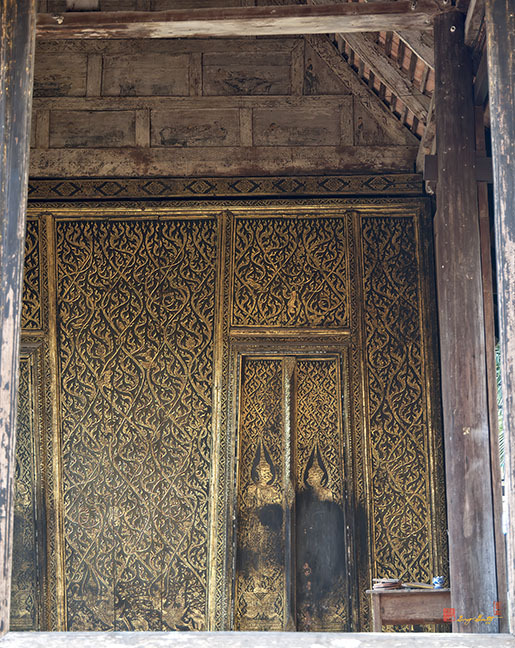 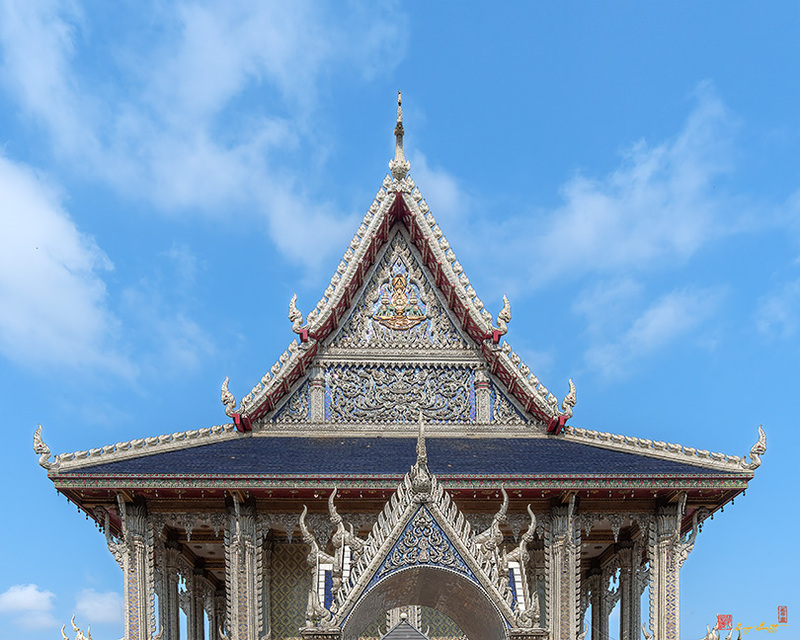 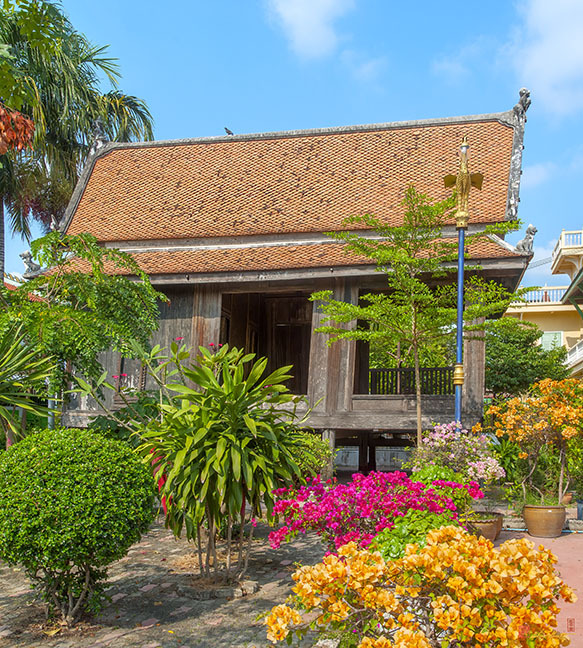 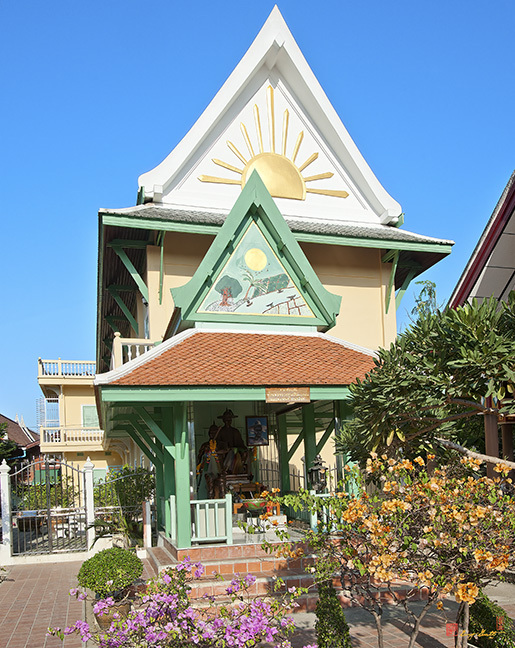 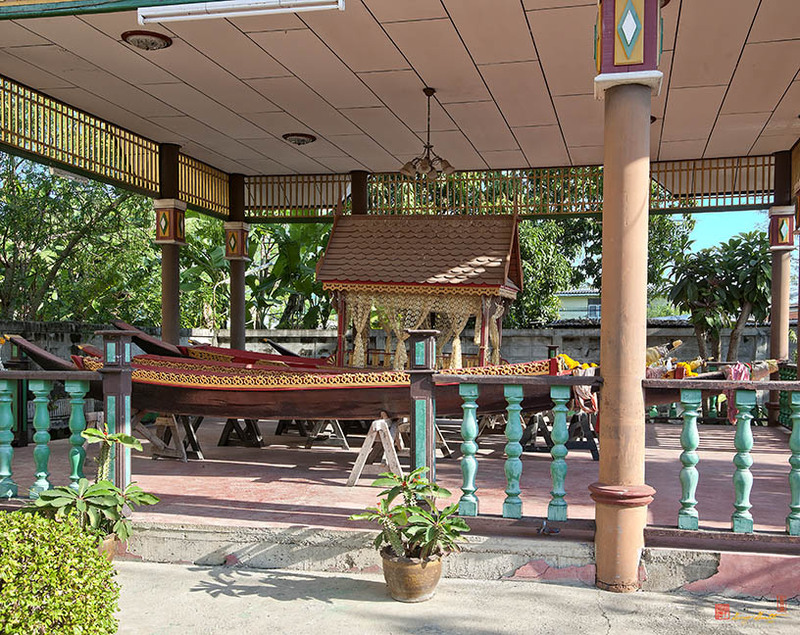 In form, the Phra Ubosot looks very much like a large Thai house with a surrounding veranda. 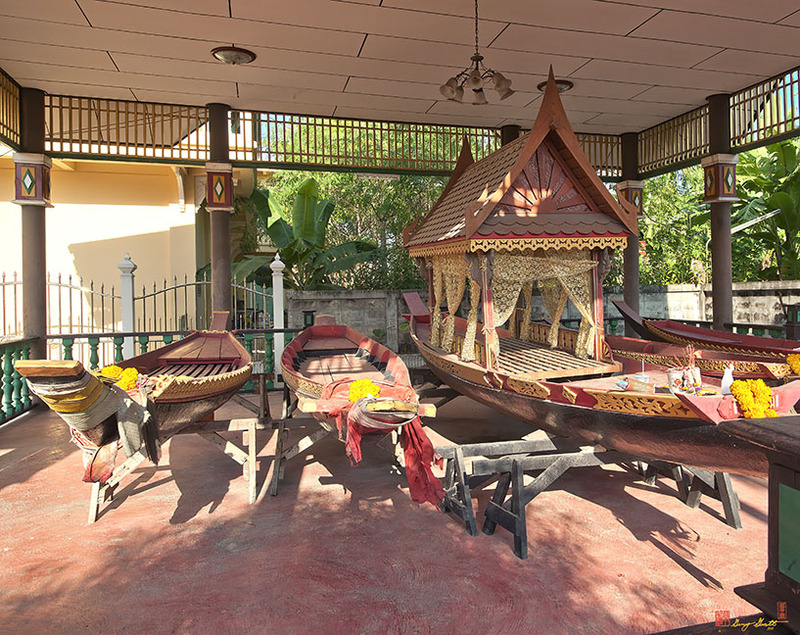 There is also a nearby floating market that is very busy in the early morning hours with motor boats coming in to unload wares to the land market or sell their wares from the boat itself. 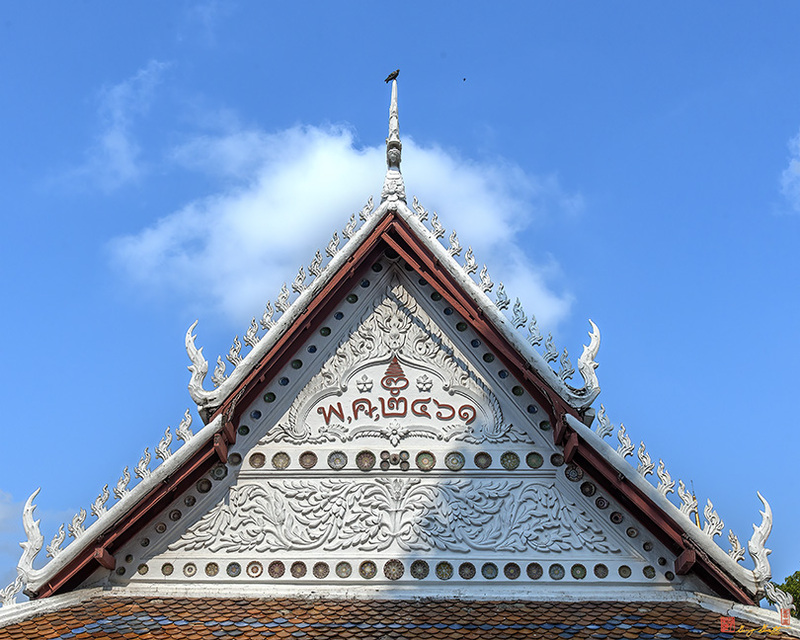 Wat Tsai has been an important ancient temple since the Ayutthaya Period. 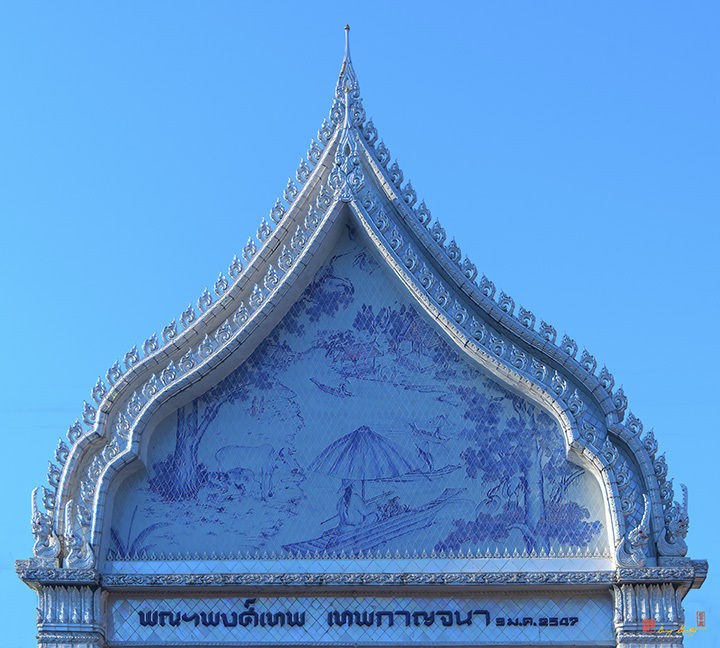 The temple was called Wat Sai, presumably because there was a giant Sai Tree (Banyan) in front of the monastery. 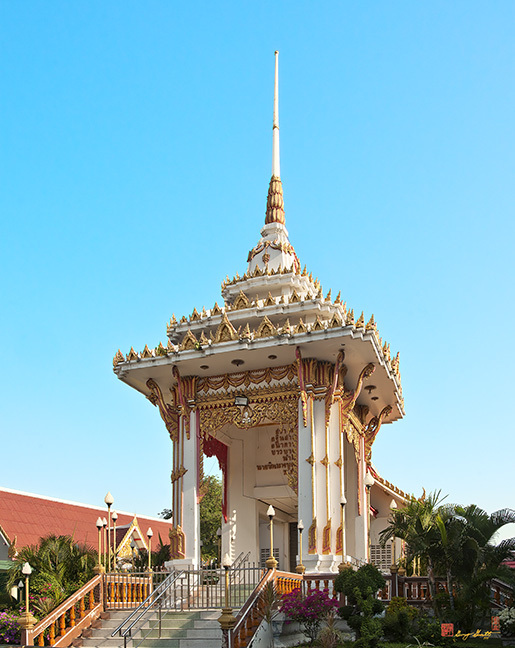 Phra Chao Sua (King Sanphet III) ordered that a golden mansion in Thai architectural style be built for overnight stay during his boat journeys to the monastery compound. 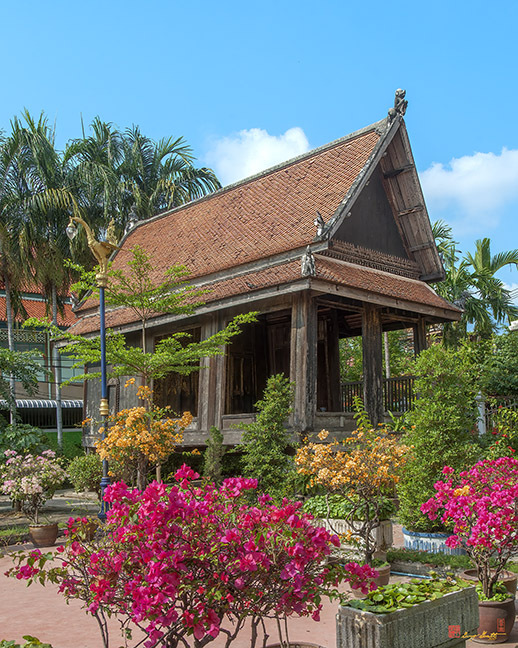 The wooden house was later dedicated for the monks' dwelling. 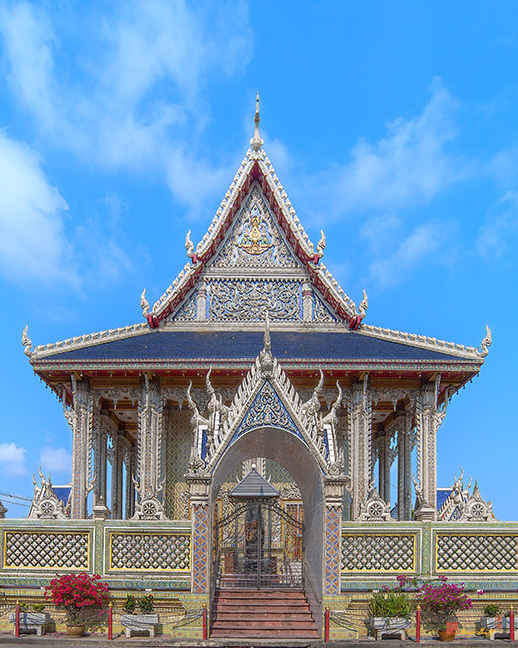 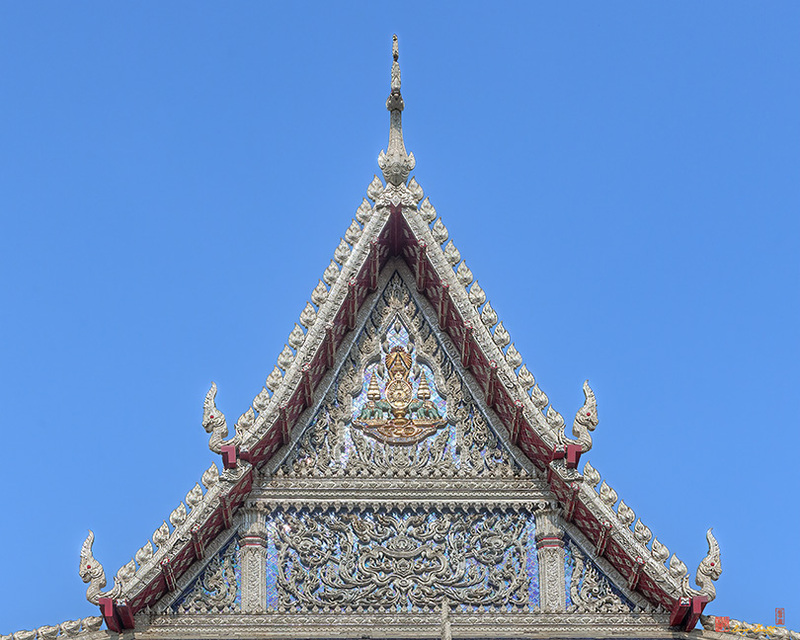 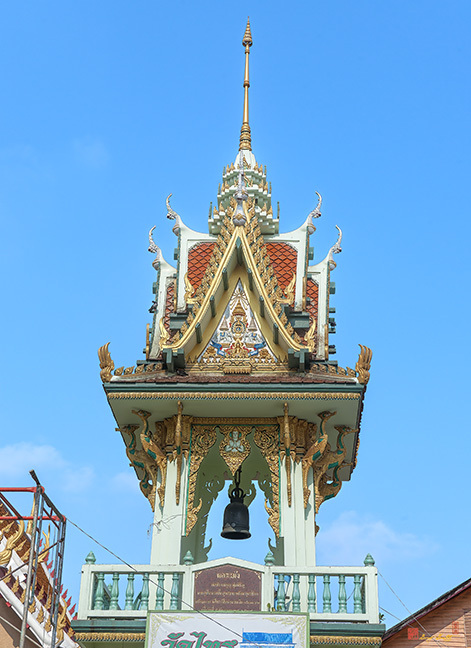 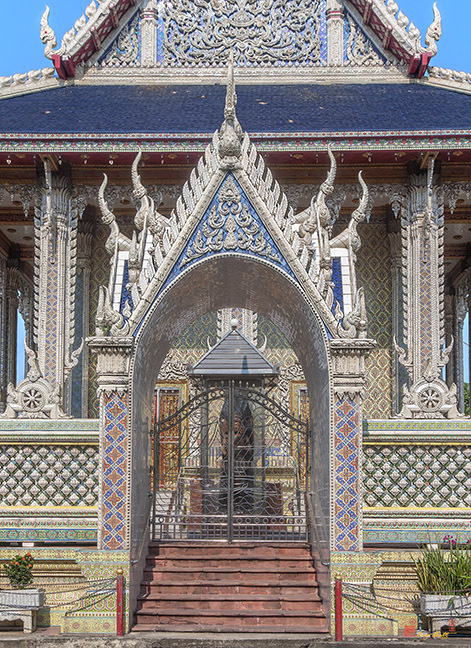 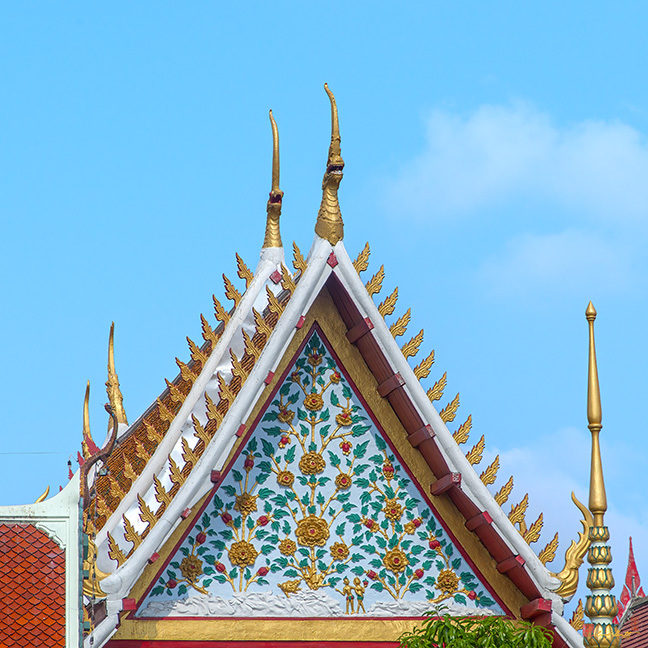 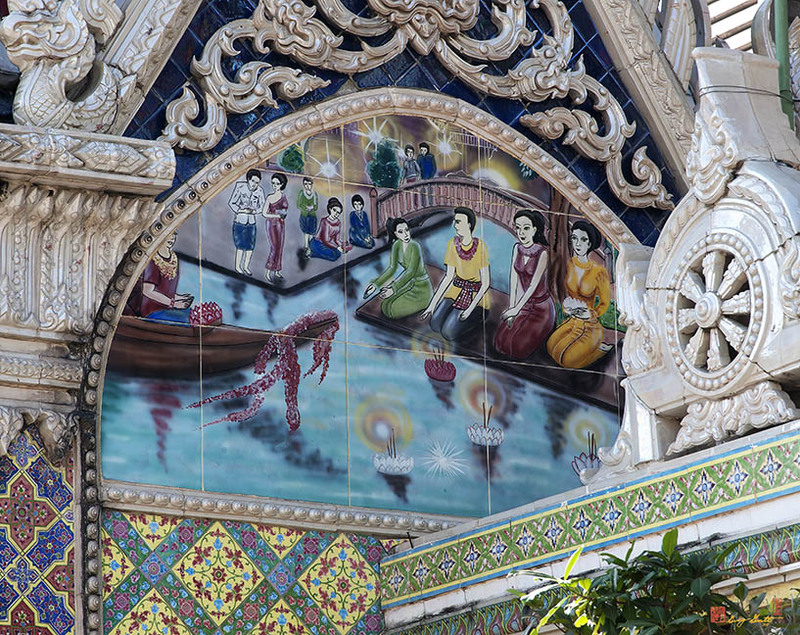 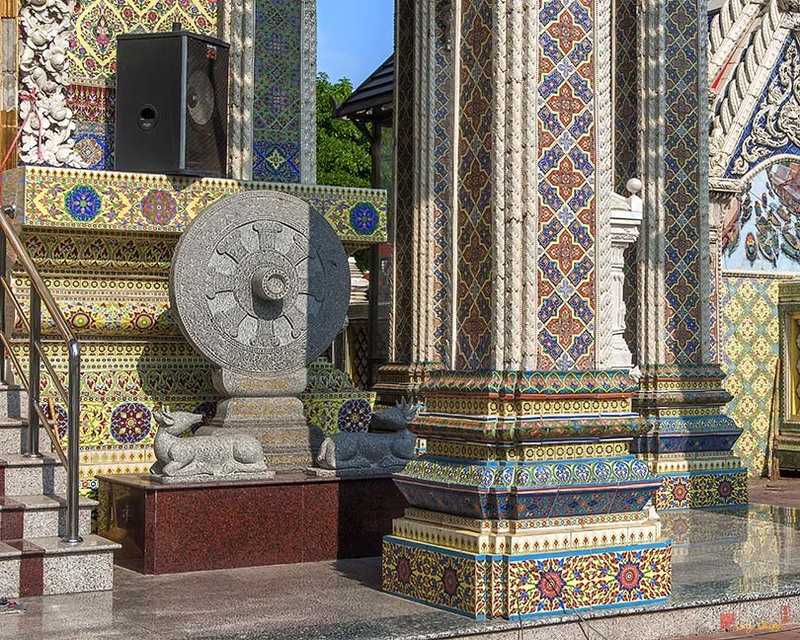 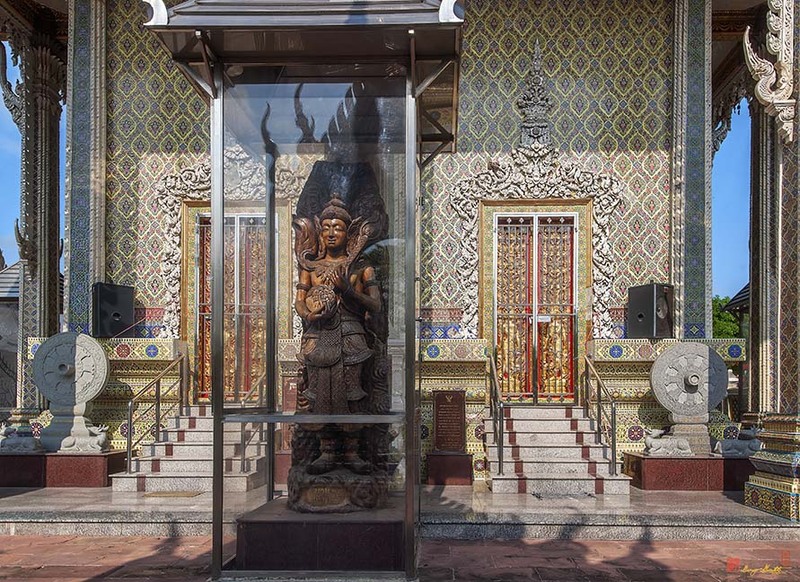 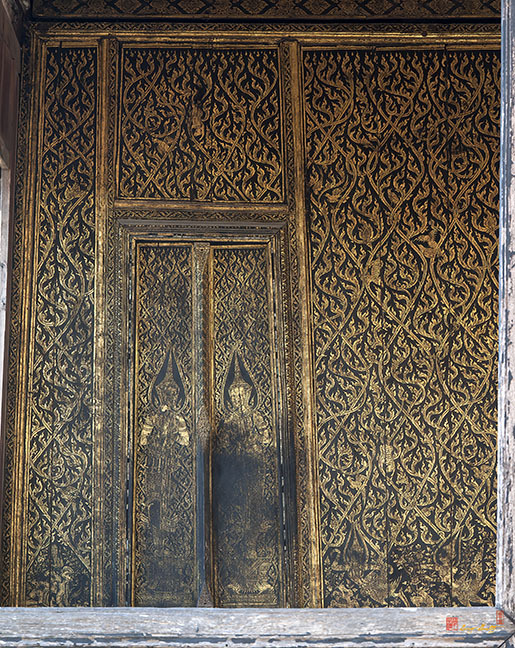 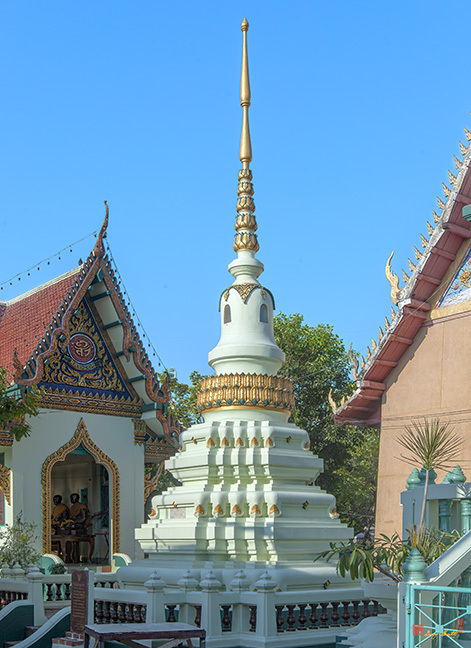 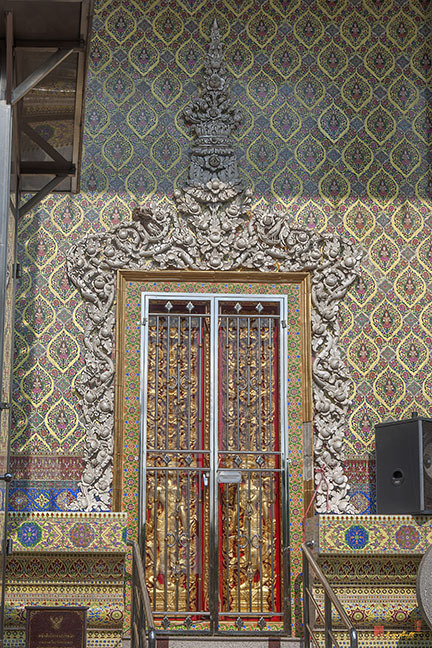 It is raised on pillars in the Thai tradition and beautifully gilt lacquered both inside and outside. 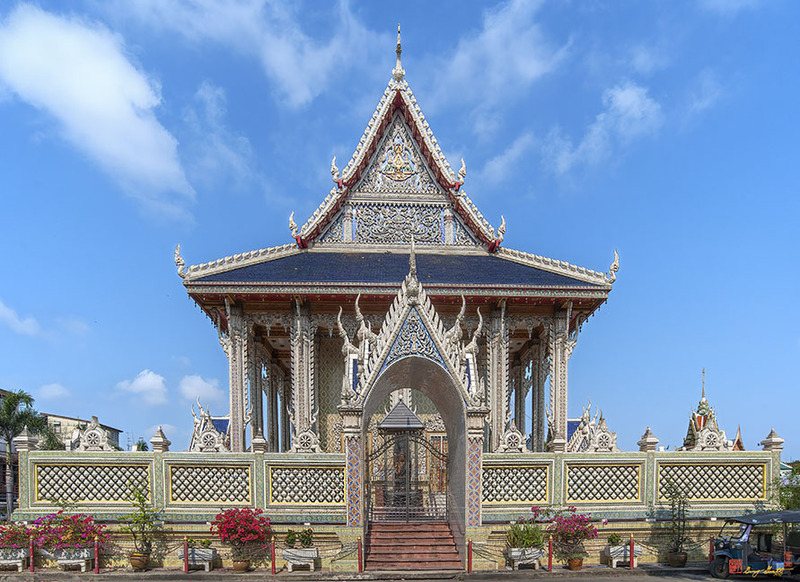 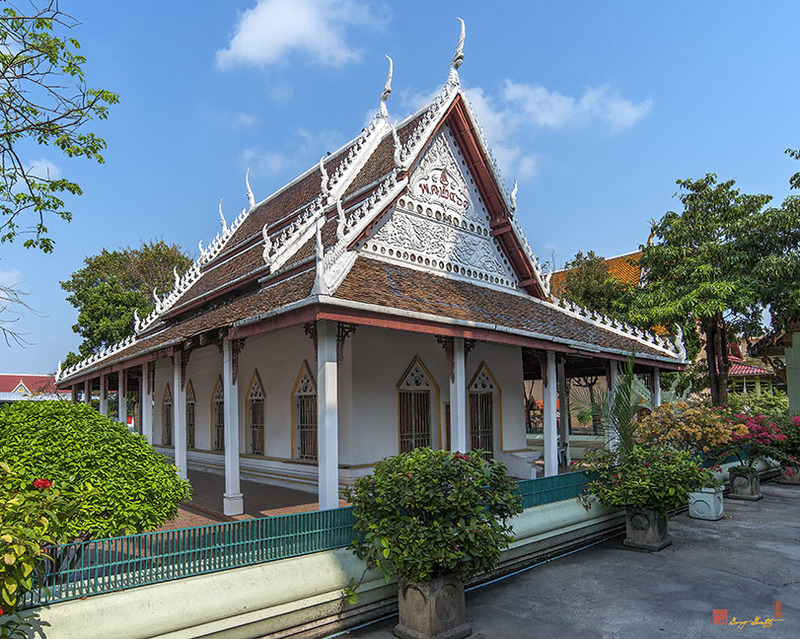 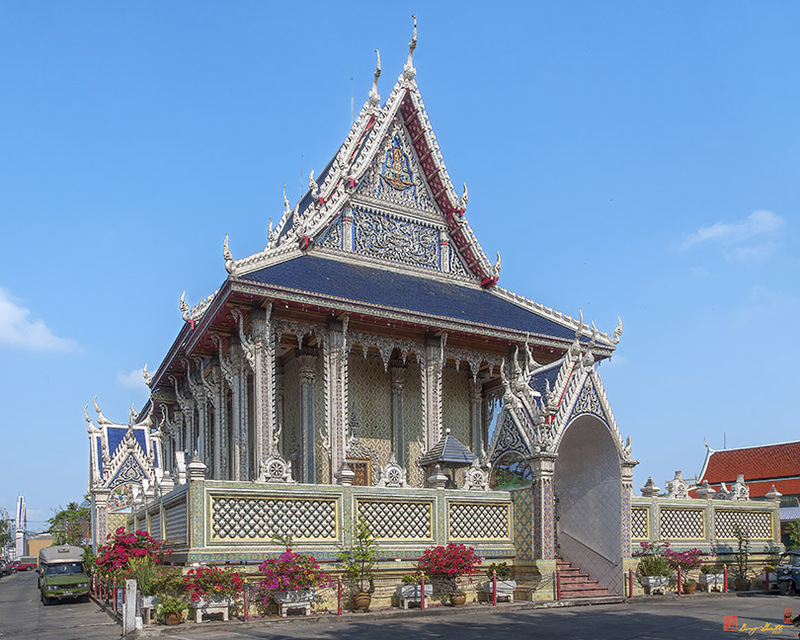 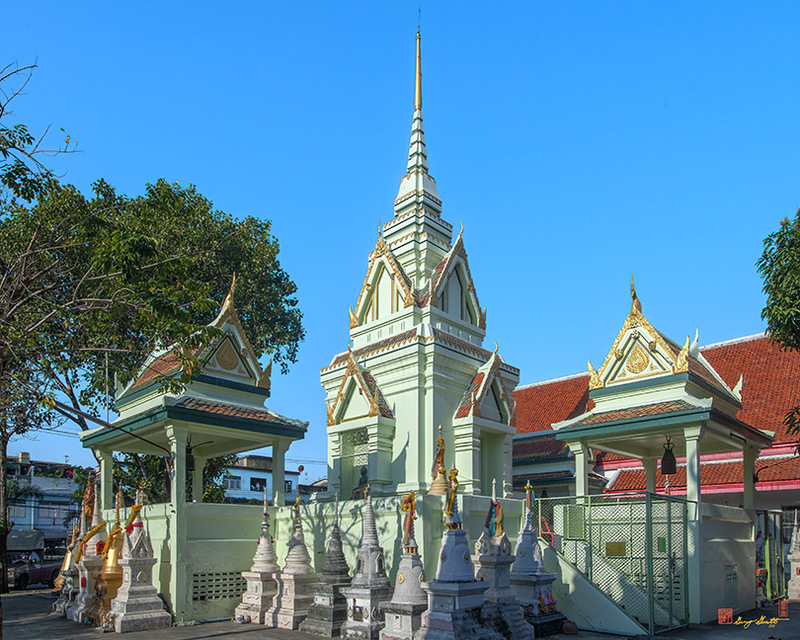 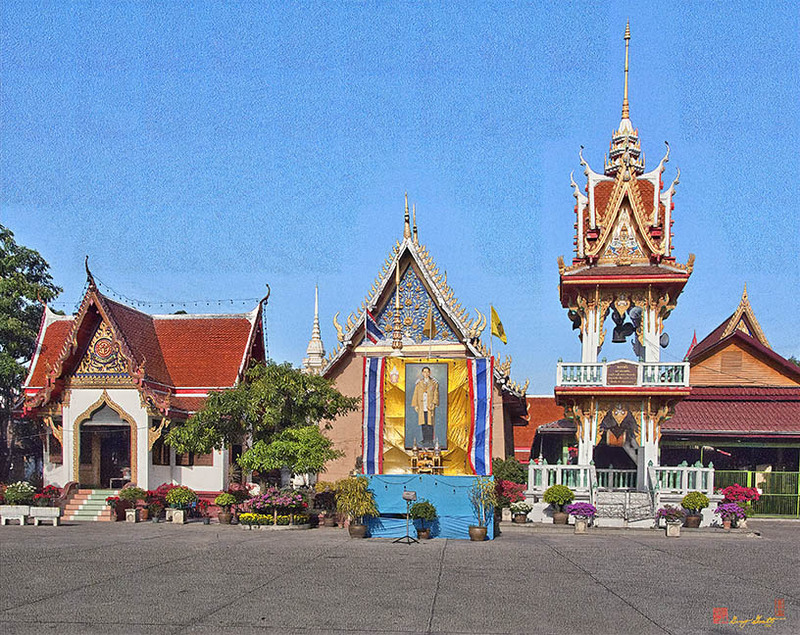 The temple was restored during the reign of King Rama IV and again in 1873 (BE 2416) during the reign of King Rama V. Various Buddha images kept at this temple are made of red sandstone in various postures.